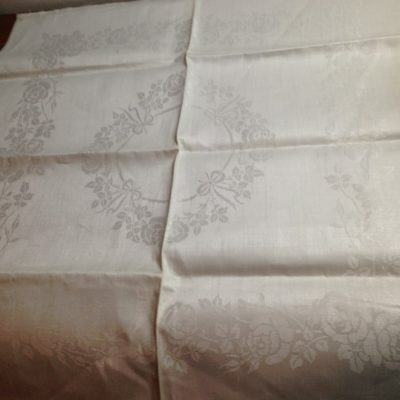 Orvokki (Violet) tablecloth 124×124 by Tampella. Desing by Dora Jung. Linen. In good condition. Colour light beige.